We are the Leading Manufacturer, Supplier, distributor, Exporter and Dealer of Forging Furnace from chennai, Tamil Nadu India. We Manufacture this Forging Furnace and supply, distribute, trade this Forging Furnace to Chennai, all over Tamil Nadu, Kerla, Andhra Pradesh, Karnataka all states of India. We are one of the leading manufacturers of high quality Forging Furnace for different industrial needs of our clients. These Forging Furnace are brought into application for purposes of reshaping and preheating of products. Forging Furnace being offered by us are manufactured using premium quality raw materials and are known for their robust designs. Products offered by us are quality tested and are durable, reliable and easy to use because of sturdy constructions. 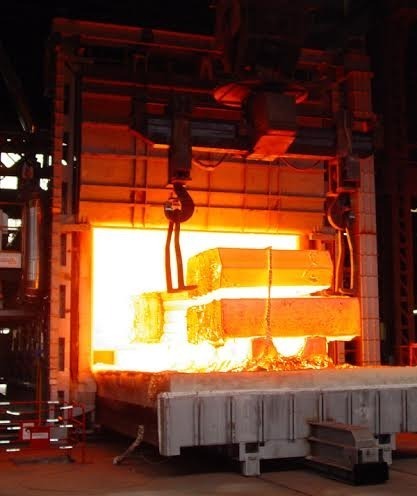 Our Forging Furnace also help in minimizing the loss of heat and are cost effective and can be customized as per the specifications of our clients. Agni Tek Engineering, has been one of the pioneers in the field of Manufacturing and Exporting of an extensive range of Gas Carburising Furnace, Bogie Hearth Furnace, Bell Furnace, Conveyor Oven, Heat Treatment Furnace,Ovens, Bogie Foundry equipment, Mixers, Skip Hoist. These include Gas Carburizing Furnace, Vertical Forced air circulation furnace, Drop bottom furnace, Aluminium melting furnace, Copper melting furnace, Bogie hearth furnace, Ceramic kilns, Bell furnace, Hot air oven, Intensive mixer, Refractory mixer, Sintering heater, Ladle preheater, Tundish preheater, Skip hoist and Conveyor. Our commitment towards quality and maintaining high standards has won us clients all over the world, including the countries of the Middle East and various European nations. We procure the raw material for our range of furnaces, ovens, foundry equipments, material handling systems from authentic vendors. This is done to ensure that the final range is high on parameters of quality, durability, reliability and the requirement of minimal maintenance. We also offer services that include fabrication works relating to Charge Fixture for Sealed Quench Furnace.